This store display once dangled in a Burger King restaurant. 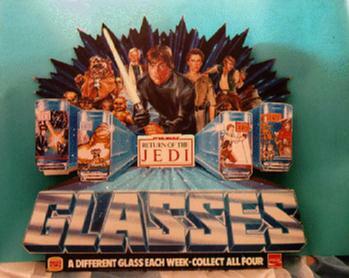 It advertised the extremely popular glasses promotion held during the ROTJ. Consumers were able to obtain a different glass over the course of 4 weeks. The artwork employed during the ROTJ promotion was unique and impressive.